That quote comes from English suffragette Hannah Mitchell, from The Hard Way Up: The Autobiography of a Suffragette, and provided the titular inspiration for One Hand Tied Behind Us, an evening of monologues at the Old Vic curated by Maxine Peake and conceived by Matthew Warchus. 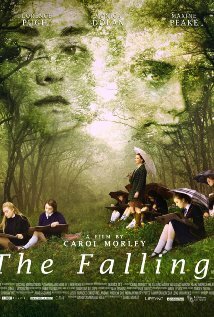 Having cast an eye over the reviews for Carol Morley’s The Falling, I was interested to see how well it has been received by real cinephiles, their writing suffused with cinematic references to the likes of Lucrecia Martel and Lucile Hadžihalilović, Picnic at Hanging Rock and The Wicker Man. I was interested because the film really turned me off, despite containing many things that I love – not least a cast with Monica Dolan and Maxine Peake and a score by Tracey Thorn, late of Everything But The Girl.